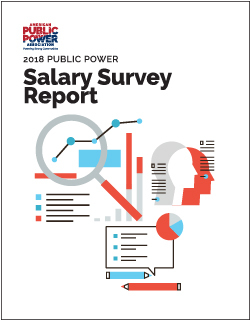 With the 2018 Public Power Salary Survey Report, you can compare your utility’s salary structure for 27 management and 24 non-management positions to others in the public power community. Salaries are summarized nationally and broken down by revenue class, customer size, and region. The report includes an appendix with a series of tables that summarize these figures. The report also includes appendices with salary data for rural electric cooperatives. This is not available to nonmembers.